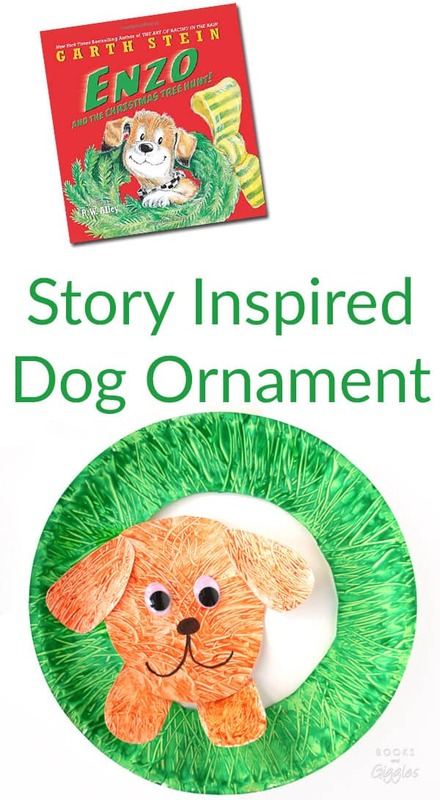 This fun-to-make dog ornament goes along with Enzo and the Christmas Tree Hunt by Garth Stein. You can also make a larger version to use as a wreath. We loved finding Enzo and the Christmas Tree Hunt (affiliate) on the “new books” shelf at our library last month. It was a little early for a holiday book, but my kids and I didn’t care. The story is about a father and daughter and their dog, Enzo – and is told from Enzo’s point of view. Together, they all visit a Christmas tree farm. The little girl gets lost as a snowstorm begins, but Enzo stays near her, and ends up calling for help. There’s a lot more to it, with enough detail to hold my girls’ attention. 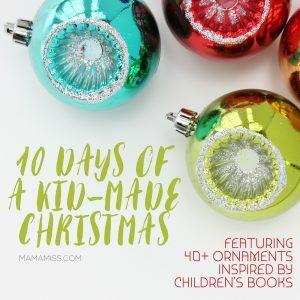 It seemed like the perfect book to inspire a fun, kid-made Christmas ornament for 10 Days of a Kid-Made Christmas. We participated last year after reading Llama Llama Holiday Drama (affiliate) and created these easy craft stick ornaments. When I mentioned the Enzo book again, my girls remembered it right away. And they’re always up for some craft time. Isabella enjoyed helping me paint, and suggested exactly where to place the paws. I think she did great! This is one of those simple crafts that takes a lot of explaining. Basically, your child is going to have fun painting with a fork, and you’re going to turn that into a cute dog ornament for them. An oval for the dog’s head. It should be slightly smaller than the opening in the plate. Long oval paws – you’ll be folding the ends over to glue inside the plate. Use the fork to paint all the dog shapes a furry brown. Set aside to dry. Once it’s dry, cut out each shape. Glue the ears onto the head, and glue on googly eyes. Draw on the nose and mouth with a permanent marker. Using the paintbrush, paint the paper plate “wreath” with generous amount of green paint. 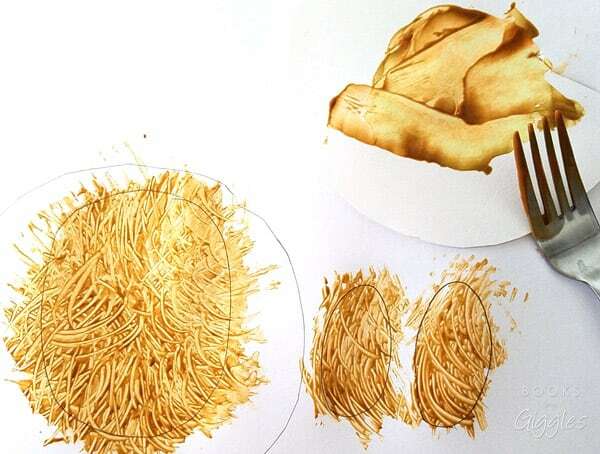 Then use the fork to make texturized strokes so that it looks like pine needles. Set aside to dry. 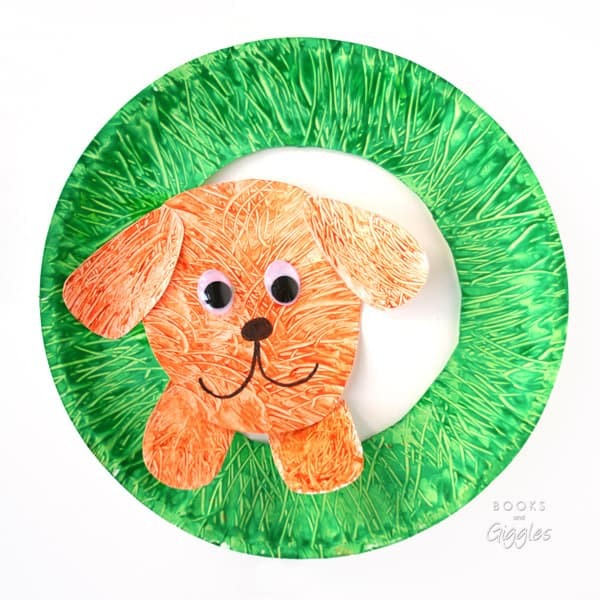 Glue the dog to the side of the wreath. Fold the paws and hook them onto the plate. Glue in place. Both my girls had opinions on where to place the dog and his paws. In the end, I think it came out just right. I’m looking forward to seeing the rest of the ornament series this year. I know you’ll like to check them out too.